John is the owner of GeniusDV. He has a Masters Degree from prestigious Florida State Film School that is now one of the top 5 film schools in the country. He has worked on a variety of national television shows, and has traveled the country teaching film and video editing. High profile agencies such as ESPN, NASA, Lockheed Martin, MTV, CIA, and other film/video organizations have praised his training expertise. John is one of a very select few that is an active certified Avid Media Composer and Final Cut Pro instructor. Check out John Lynn teaching in action at ESPN Films. John has taught over thousands of individuals covering 46 states,and a large area of the Caribbean. He is a published author, and editor of popular video editing training books related to video editing. His recent work includes developing online training courses for Udemy, which is a leading online training provider. John has been editing and teaching for 25 years. He is an active Certified Media Composer and Final Cut Pro instructor. He also remains available for on-site consultation and training. I am the owner-operator of Beyond 8 Video, located in the Dallas/Fort Worth Texas area, producing industrial videos, commercials, and multi-camera stage events. I also write, direct, edit and produce a wide range of assorted projects. Our niche is live stage multi-camera production. I first met John Lynn in January 2008 and was certified through his training with AVID Media Composer and Final Cut Pro editing programs. I credit John with our amazing success at bringing stunning artistic audio-visual presentations to our clients. All of my staff and most of my colleagues have been trained and or influenced by John’s impressive ability to bring life to media and to help make something that is great become outstanding, and to help make something that is outstanding become magnificent. I consider John to be my mentor in the digital media world, and I would not be operating at the level of success that I am today had I not been introduced to him. During the 19 years I was employed at Lockheed Martin as Multimedia Production Analyst Senior Staff through to when I was Enterprise Technology Programs Manager there I hired John on multiple occasions to provide professional Video Editing instruction for Lockheed Martin employees at corporate locations across the US. 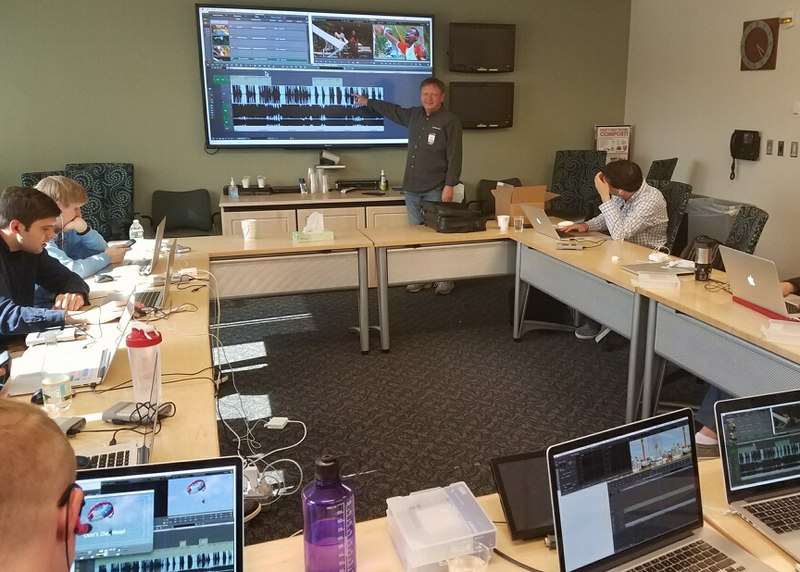 He provided professional Avid Media Composer Non-Linear Editing training to our Media Services personnel in 2000, 2003, 2005, 2008 and 2013. He made complex systems and processes easy to understand because as an experienced Apple Final Cut Pro, Adobe Premiere Pro and Avid Media Composer editor himself, he has a detailed and practical knowledge of the material he presents. He clearly explains the mission and interactively custom builds the curriculum of the training at the beginning of the course, then systematically accomplishes the learning goals while providing opportunities for extra help if required. He supervises and mentors students providing creative solutions to guide them through their assigned projects from concept to delivery. When presented with a technical editing dilemma in long-form narrative or short-form commercial format, he often has innovative answers that help everyone involved re-think their previous conclusions where the solutions had been very challenging for them. 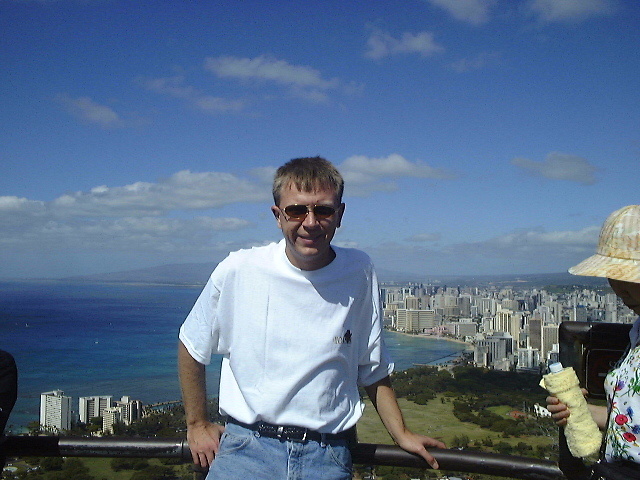 I worked with John for 3 years at a major system integrator in Cleveland, Ohio. My current job at a very large school district required me to make some major program changes and John was there for us. We brought him in and in addition to providing excellent training; he made everyone feel super comfortable while learning new and complex techniques. He is super nice and everyone left feeling confident about our new software. Highly recommend John! John is a very reliable and helpful person. He always goes above and beyond what is asked of him. John is always willing to help anyone. He is a very hard working and determined person. John taught me how to video edit and is part of the reason I am in the career that I am currently in. He is a very confident and trustworthy person. John is very knowledgeable and always gives 100% of his time and effort, into anything that he does. He is very passionate with his work and helping others.